The anti-apartheid play Survival was written by four young actors who had recently left Soweto. The play, set in a South African prison, portrays what is means to grow up black under the oppressive apartheid system. 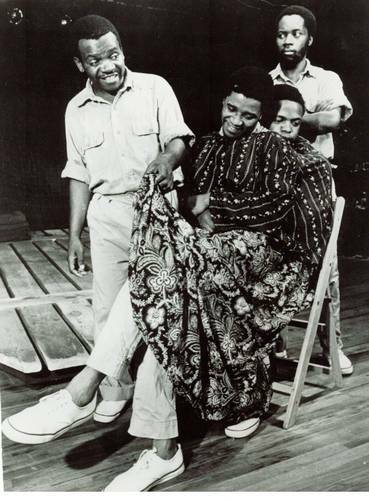 Standing on the left is South Africa playwright, director, and actor Selaelo Maredi. For many years, Maredi toured the U.S., especially college campuses, presenting anti-apartheid plays.